Cover Reads: Oh, Mother, You're So... Superior? 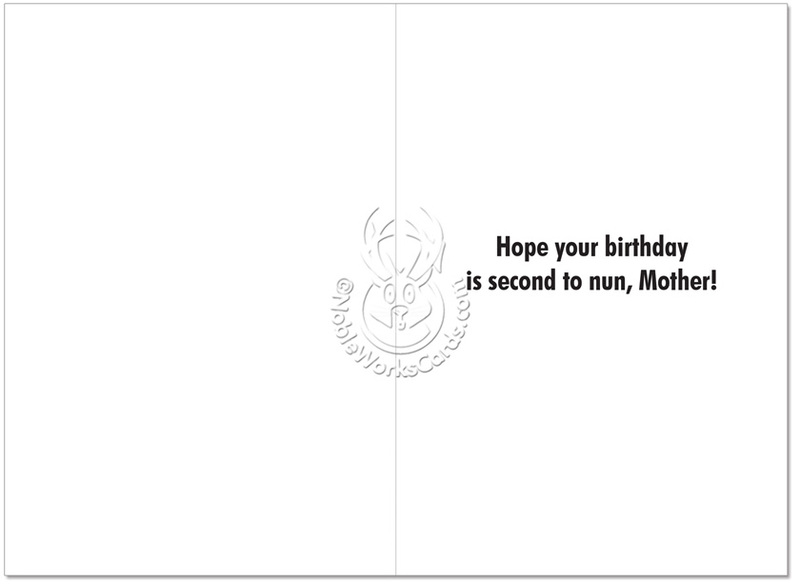 Inside Reads: Hope Your Birthday Is Second To Nun, Mother! 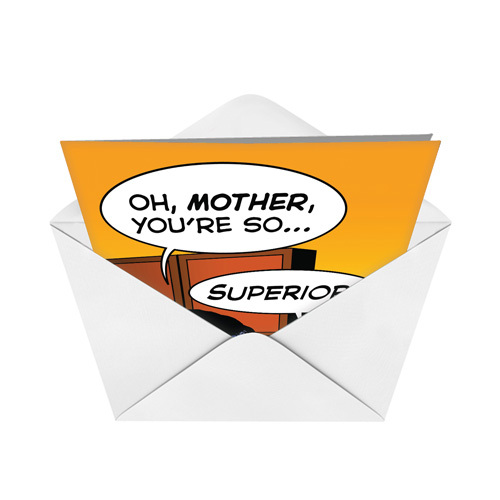 Does your mother suffer from a superiority complex?� Feed your mom's super skills, attitude and personality and make her laugh with the colorful and clever Funny Mother Superior Birthday Card from NobleWorks Cards. 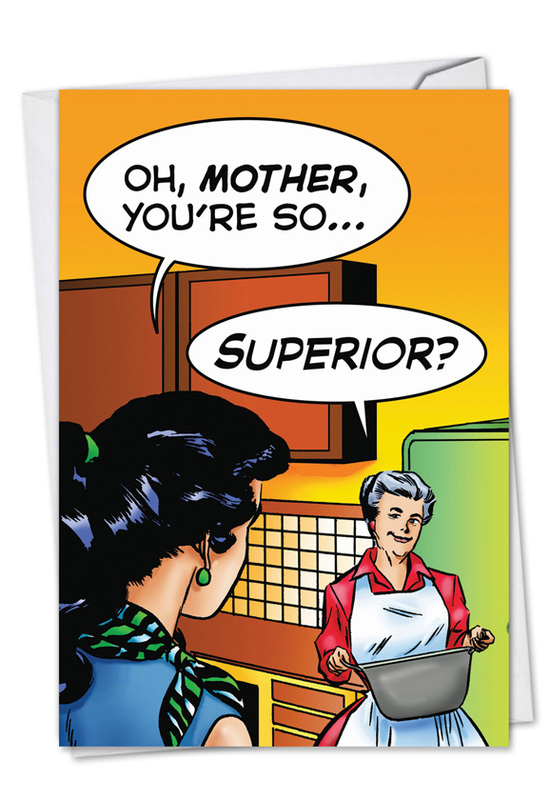 Show Mom that's she's 'second to nun' on her special day.